There are many amazing career pathways within the nonprofit sector. This information is meant to offer insight into the different opportunities and cultures within the separate nonprofit industries and offers advice on how best to apply and approach the sector you are most interested in. From environmental organizations, foundations, art organizations, to women’s rights social services this post touches on what you need to know in order to be able to apply at one. Written here is information about what it takes to get the nonprofit job you want, and also further pathways for adding meat to your resume, nonprofit profile, and employment strategies that actually work. My name is Isaac and I am one of the Co-Founders of Foundation List. I am also a nonprofit Executive Director of an arts organization for the past thirteen years, and most importantly a Nonprofit Executive Recruiter and expert in the field– so I know the tricks, realities, and approaches to get you the interview and get you hired. And most importantly, as I am part of Foundation List, I am very passionate about sharing information and tips about finding non profit jobs. Think of nonprofits and foundations just like any other culture like a club: there is a specific approach for speaking to them, to applying with them, and for entering into them for a new career path. In my prior years, we have helped staff over a thousand nonprofit organizations, foundations, and universities to date. And believe me when I tell you that this is a completely different playing field that most corporate cultures. Complicating this is the fact that gaining real and usable nonprofit experience can be a very tricky thing if you have never volunteered in the past or been a part of a volunteer organization. We share this not to deter you or scare you from pursuing nonprofit work, nor scare you from opening your own nonprofit, but instead to educate you on the real activities that you will have to partake in it. Taking immediate action today can indeed help you change your career, and introduce you to a start of a mission-driven career. To prepare you we advise you first start doing things in your everyday life that prepare you for a career in the nonprofit sector. It is true that making a difference in your day job to help others is a very fulfilling path, but it is also true that it takes preparation, knowledge, and strategy. Tip One: forget everything that you think that you know about traditional job seeking and the value of corporate success. It is a misnomer that it is an easy thing to quickly transfer your current experience into the nonprofit sector. It does not matter if you have been a CEO of a large for-profit successful entity, nor a business development professional with over twenty years of experience. To get a job at a foundation, nonprofit organization, or educational institution your prior experience may not even help you in some cases unless you personally started Google, or founded a successful entity related to the nonprofit sector or philanthropy. It is a general misconception that because private salaries are larger than in the nonprofit sector experience is also worth more. It isn’t. In fact, it is quite the opposite as it comes to experience, nonprofit jobs and hiring. Now, what I am not saying is that your prior expertise is not important. If you are lucky enough to be looking to work at a nonprofit in a specialized field the exact same as your previous experience, this will hold more influence. 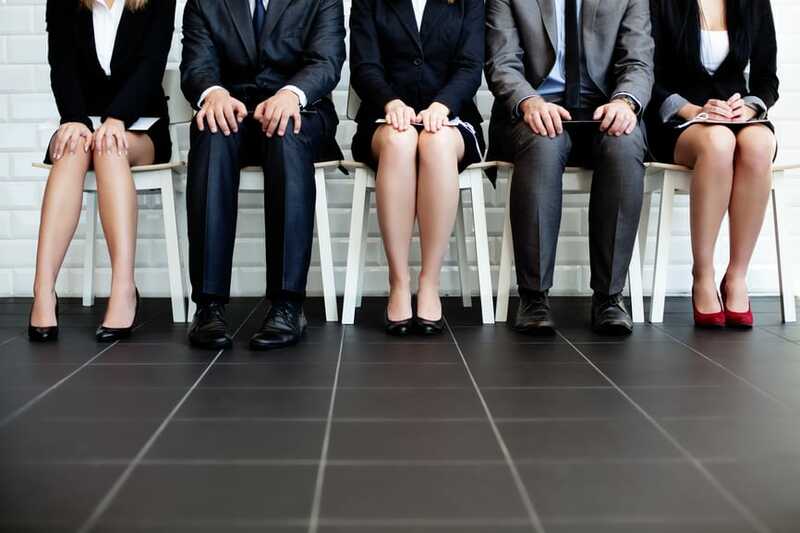 Where many candidates fail in seeking work in the nonprofit sector, they are instead interested in working in a “related” field to what they had been working in. Sales professionals want to enter into Fundraising, Administrative professionals want to help run nonprofit programs, Consultants want to run Marketing nonprofit departments, Real Estate and Finance professionals want to run housing programs and help social services. It’s just not that simple. Choosing to work in an area, and also having the specific skills is not the most important thing in landing the job that you want at a nonprofit. If that were true than previous experience would not be required at all. Instead, previous direct experience in the same department, arena, or area is sought. Do you have it already? If you do, then you will still need to apply the principles within this book to successfully obtain the position you desire. If you are like most candidates, the good news is, there are ways around this barrier, but it takes work, devotion, and a willingness to create documentation, resumes, and information about yourself. The number one reason that people fail to land the job that they want in the nonprofit sector is that they choose to not put the time and work into demonstrating you are a viable nonprofit candidate. Getting a non-profit job is not just as easy as submitting a resume, making a follow-up phone call, and dropping a thank you note after an interview. Though it is true that all these things are a good idea, it is also even more true that you must first demonstrate to prospective nonprofit employers that you fit them much closer than you ever though required in the past, or in the for-profit sector. Tip three: Volunteer and start being a part of the nonprofit sector now. Do not wait to be a part of the work. Volunteering in the area you want to work, and in the position/or department, you want to obtain is simply the best possible way to gain relevant experience and understand the type of organizations you want to work for. Consider joins a board, volunteering at fundraising events, start making asks for organizations in need and or find a nonprofit that needs your expertise! Two organizations can help you find this: (1) The Volunteer Center, and (2) Board Source are both wonderful organizations to help you get ideas on how to start! Once you have volunteered for a few organizations you are just a hop, skip, and jump away from your first mission-driven job! Nothing shows an organization more that you care, then volunteering with them. That also gives you the opportunity to meet the decision makers, inquire to as to paid position they are recruiting for, and also gain insight from them as to other advice they could offer to someone trying to break into the sector. Here is the deal. Nonprofit resumes are different. In the corporate world, it is important to only have your profile, skills, and experience. But in the nonprofit world, they also want to see some of your devotion to their mission displayed on your resume. This does not give you license to use unprofessional tones or language in your resume. Never use less than formal language, or talk about yourself in the third person on your resume. What you need to add to be a strong nonprofit candidate are sections for Volunteering, Continuing Education, Writing, and Interest sections. These are the sections for those of you think on nonprofit prior experience you will need to buff up, in order to retain the interview. Think about what books you have read that relate to the nonprofit, what magazines or periodicals, or websites that pertain to their mission. Think about where have you volunteers over the years or given money to. The more you show you are part of the sector and have the exect skills they are seeking for the nonprofit jobs you are applying for, the more interview you will land. Learn more: read our recent blog about creating resumes for Non Profit Jobs and using Skill Sections.